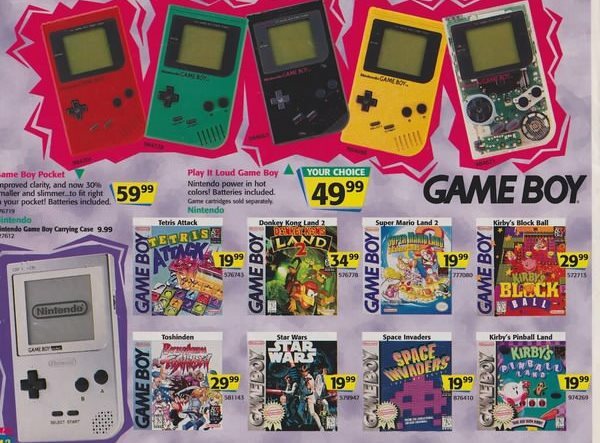 Recently, pictures of a 1996 Toys ‘R’ Us holiday catalog have resurfaced on the internet, and it’s enough to make most retro gamers feel ancient. Nintendo and Sega consoles dominated the market, while Sony was just entering it with their original Playstation. It’s interesting to see how much more expensive both home and handheld consoles have become, while console games seem to always have been on the pricey side at about $60 for major games like Super Mario 64 (available now on the Wii Virtual Console for $10).